Research by the Climate Institute shows renewables continue to rise in popularity as the favourite energy choice of Australians as the Daniel Andrews government finalises Renewable Energy Targets for Victoria. Climate Institute’s 2015 ‘Climate of the Nation’ report into attitudes towards climate change and energy sources, reveals solar, wind, and hydro power are strongly favoured over coal and nuclear, which are even more unpopular than in 2014 (with a mere 13% support). Solar remains at the top of the leader board with an impressive 84% support. It comes as no surprise given Australia has the deepest penetration of rooftop solar per capita in the world, and is only gaining more traction. 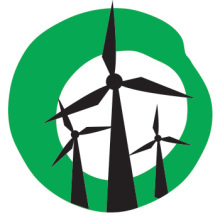 The runner up, wind power, has increased in popularity from 64% to 65%, in defiance of attacks from PM Tony Abbott, Treasurer Joe Hockey, and Senators John Madigan, Bob Day, and David Leyonhjelm. 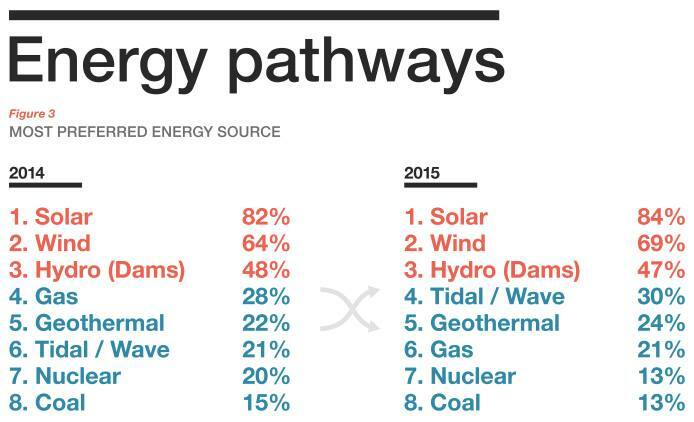 Renewable sources took out the top five spots, with coal and nuclear both seeing a steep decline in support. Support for nuclear is down a full seven points since 2014, reflecting Australians’ mistrust and lack of interest. Despite a concerted marketing campaign by fossil-fuel lobbyists and nuclear zealots over the past year, nuclear appears to be little more than a thought bubble unlikely to be taken seriously by Australians. Renewable energy’s unstoppable rise in popularity reflects knowledge of the opportunity for new jobs and investment in efforts to combat climate change, and the need to inevitably close aging coal-fired power stations. It is no surprise then that we are now seeing bipartisan support for renewable energy emerging in Victoria, where the Andrews government has committed to Victorian Renewable Energy Targets (VRET) for 2020 and 2025. The Andrews government is likely to adopt a more ambitious target that its baseline pledge of at least 20% by 2020 in its Renewable Energy Action Plan. More ambition would put Victoria among good company. Other states have already demonstrated leadership with the ACT gunning for 90% renewables by 2020; South Australia, 50% by 2025; and Queensland, 50% by 2030. Yes 2 Renewables supports the growth of clean energy jobs and investment, and is calling on the Andrews Government to send a strong signal to investors with VRETs of at least 30% by 2020 and 50% by 2030. The verdict is in, Australians love renewable energy, now it’s time for Victorian energy policy to step in line with popular opinion. Attend the University of Melbourne’s Navigating Victoria’s Energy Future event to find out what policies will help the government meet the Victorian RET.